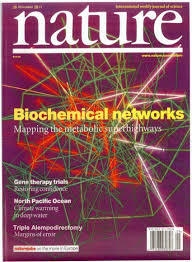 Kwiek's research on European "academic top earners" discussed in Editorial in "Nature"! Professor Marek Kwiek’s research on highly productive academics” (“Academic top earners. 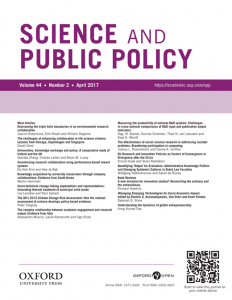 Research productivity, prestige generation, and salary patterns in European universities”), just published in Science and Public Policy, May 2017 – was discussed in Nature. See Editorial in Nature: The secrets of a top salary in science. The highest-earning academics aren’t necessarily those who do the most research. Nature 546, 576 ( 29 June 2017 ) doi:10.1038/546576a. The original article from Science and Public Policy is here. It is a “Top Read” of Science and Public Policy (number one), as of June 28, 2017. This research examines an emergent class of highly paid academics – or top earners – employed across European universities. It differs from existing salary studies in its focus, sample and method. It goes beyond previous work that has studied academic salaries either in single institutions (Katz 1973; Ferber 1974; Fox 1985), multiple institutions (Hamermesh et al. 1982; Konrad and Pfeffer 1990; Ward 2001) or national systems (mostly the US, as in McLaughlin et al. 1979; Gomez-Mejia and Balkin 1992; Bellas 1993; Fairweather 1993; Barbezat and Hughes 2005; Fairweather 2005; Melguizo and Strober 2007). Also, it explores cross-national differences in salary patterns in 10 European countries based on large-scale international survey data regarding the academic profession (N=17,211). This research also goes beyond a more traditional approach, which examines the relationships between academic salary and its correlates through only bivariate correlational analyses, by using both logistic regression analyses and bivariate correlational analyses. This research examines the relationships between academic salaries and academic behaviors and productivity in a single institutional type, the European university, exploring one sub-category of academics: academics employed full-time and involved in both teaching and research. Finally, this paper explores predictors of becoming an academic top earner from a comparative cross-national European perspective. While most previous studies rely on linear regression models, this research relies on a logistic regression model in seeking country-specific predictors of becoming a highly paid academic across Europe. The primary data analyzed come from two large-scale global and European research projects on the academic profession, CAP: Changing Academic Profession and EUROAC: Academic Profession in Europe, with 8,466 usable cases for our purposes. The data refer to highly paid academics (the upper 20 percent, N=649), who are contrasted with the remaining 80 percent of academics (N=2,937); in both cases, the term ‘academics’ refers only to those who are employed full-time in the university sector, indicate both teaching and research involvement and provide income data. The maximization of prestige, in this theoretical framework, is strongly correlated with faculty salaries. Academics who help their institution to become prestigious are rewarded by the institution with higher salaries: more articles and books published in prestigious outlets, more prestigious research grants, more patents, etc. lead to higher institutional prestige, which consequently, albeit not directly, leads to higher individual salaries. That is, ‘the currency in which institutions are paid for faculty research is prestige. As a result, institutions provide financial rewards to scholarly output’, with faculty salaries being viewed as returns on the generation of prestige (Melguizo and Strober 2007: 639). In technical terms, we divided the sample of all academics who reported their incomes (as elsewhere throughout the paper, only those employed full-time in the university sector) in the 10 above-mentioned countries into academic ‘top earners’ and ‘the rest’. Top earners are defined as those in the 80th percentile of gross academic income – the upper 20% of academics in each of the five major clusters of academic fields (separately), in each country (separately), cut-off points permitting. We did not want to combine all full-time academics from the university sector into a single subset, because the vast majority of top earners would then come from Switzerland and none would come from Poland or Portugal (based on the nominal values of their salaries). We also wanted to explore all the systems and examine national-level top earners cross-nationally. Additionally, we restricted our subsample of top earners and the rest: we have explored only academics who are at least 40 years old and have at least 10 years of academic experience. This was done to avoid comparing academics across radically different age cohorts with different seniority levels and, especially, different job characteristics. Analyzing top earners and the rest of academics across all age cohorts and all career stages and seniority levels would significantly increase the number of observations but would also lead to potentially erroneous results with regard to the time spent on research. Analyzing only older academics with longer academic experience (longer time passed since first full-time employment) leads to more robust results. Previous research findings generally showed a strong positive correlation between research hours and salary levels and also a negative or no correlation between teaching hours and salary levels (Katz 1973; Marsh and Dillon 1980; Melguizo and Strober 2007; Hamermesh et al. 1982; Konrad and Pfeffer 1990; Fairweather 2005). Our research on the European sample does not confirm these findings. The traditional link between higher time investments in research and higher incomes – consistently demonstrated (mostly for Anglo-Saxon countries, especially the US) in the last half a century – does not currently seem to hold across Continental Europe. Interestingly, from the perspective of future academic careers, top earners tend to spend more time (than the rest of academics) on all academic activities except for teaching and research, and they especially spend more time on administration and service. There is one qualification, however: the time measured is the current time, not the time spent a decade earlier, which may have led to their current positions. Our analysis shows (see graphically Figures 1 and 2 below) that the upper 20% of academics in terms of incomes (or our “top earners”) in the majority of countries studied are substantially more productive and produce much more internationally co-authored publications than the rest of academics (from the same older age cohort). While they work on average longer “administrative” and “service” hours (rather than research hours), they are much more academically productive. For instance, in the UK, the average number of peer-reviewed article equivalents published in the three-year reference period by the rest of academics is 4.63, while the equivalent number for top earners is 11.3, or 144.06 percent more. In the case of internationally co-authored article equivalents, the difference is even higher: 180.49 percent for Poland, 178.05 percent for the UK, 145.56 percent for Germany and 100 percent for Finland. Given that European higher education research stands in the shadow of its American counterpart, especially in terms of its basic theoretical frameworks, this paper suggests a more sustained focus on cross-national (not to say cross-continental) differences in higher education and on the role of various national traditions in the academic enterprise in the future. We suggest rethinking the potential over-reliance on American research findings in discussing academic salaries in non-American contexts. Some theoretical frameworks and analytical concepts stand firm and are useful on both sides of the Atlantic, while others may not be as useful. Large-scale differences in the organization and funding of Anglo-Saxon and especially American higher education systems and European ones may suggest rethinking not only the analytical frameworks used to explore academic salaries but also those used to explore various aspects of higher education that are specifically linked to national traditions. They include, for instance, cost-sharing, fees and loans, public and private goods in higher education, typologies of university governance models and others. The results of our analysis are not consistent with traditional (mostly US-focused) academic salary research, which tends to emphasize strong positive correlations between salaries and long research hours, combined with a strong research focus; however, our results are consistent with those of traditional research in terms of showing correlations between high salaries and high productivity. The interesting point is that individual productivity also includes co-authored productivity. Therefore, high productivity must not necessarily be correlated with longer research hours. One indication that the high earners in our sample may be involved in the extensive supervision of collective research grants and/or leading research groups, heading departments or faculties, etc. is the finding that they tend to spend more time on administration, service and other academic duties. For instance, top earners in Germany and Switzerland work, on average, 8 more hours per week than the rest of academics in the same older cohorts. This indicates, on average, 5 more administrative hours in Germany and 10 more service hours in Switzerland, with no statistically significant difference in traditionally explored teaching and research hours. Thus, the US salary system (with highly differentiated salary levels across institutions) and European salary systems (with low national pay differentials) certainly have one point in common: the higher average research productivity of highly paid academics. However, while in the US, longer research hours, a stronger research focus and higher research productivity seem to pay off directly, in Europe, only higher research productivity seems to matter directly in determining individual salary levels. On top of that, high productivity determines high salaries only in combination with more time being spent on non-research academic activities outside the traditional teaching and research dyad. This research shows that while in Anglo-Saxon countries, the university research mission traditionally pays off at an individual level, in Europe, it pays off in combination with administrative and related duties. Seeking future financial rewards through research in Europe seems difficult, except for highly productive academics, but seeking satisfaction through solving research puzzles is also becoming more difficult than ever before because of the growing emphasis on the relevance and applicability of fundable research (Teichler et al. 2013). Thus, because both the traditional ‘investment motivation’ and the ‘consumption motivation’ for research (Levin and Stephan 1991) are scarce in European academia today, national-level and institutional-level policies may need to be rethought so that the best and brightest will still seek and maintain academic employment in European higher education in the context of an ‘exodus of European researchers’ (Docquier and Rapoport 2012: 715).